These are monthly courses and they take place in the morning, from Monday to Friday. Students will have 4-hour lessons a day (2 hours of Spanish Language, 2 hours of Conversation and Listening and Reading Comprehension). The student can choose to have 1-month, 3-week or 2-week Intensive Courses, and can choose to stay either with a family or at a hostel or a hotel. - Trips to Colonia, Salto, Punta del Este and Estancias with interpreter. 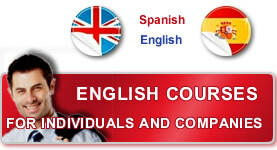 The cost of the trips is not included in the courses´costs.